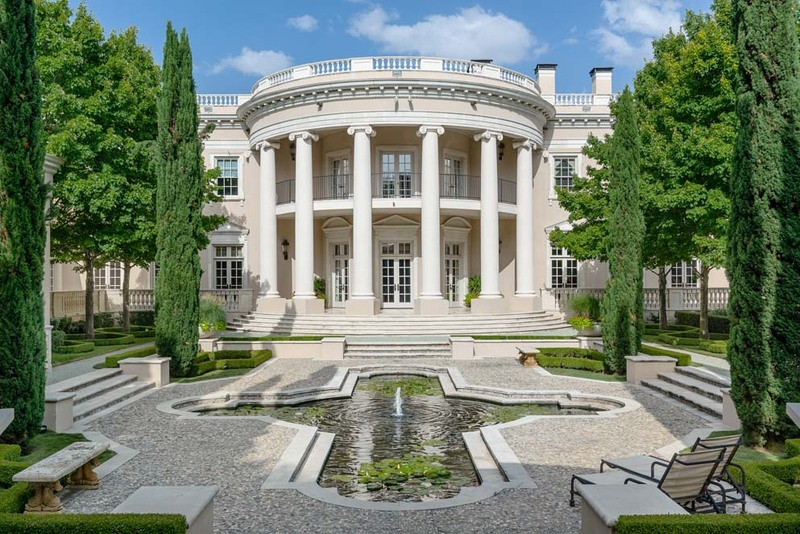 At first sight, this mega-mansion in Dallas appears to be a small-scale replica of the White House. Classical columns, check. Rounded portico, check. Fountains in the yard, check. However, inside the Federal-style Colonial home is a world of European delights, from antique, French fireplaces in the living room and library to an Italian chandelier and 15th-century Gothic fireplace in the kitchen. via House of the Week: Dallas White House With European Flair | Zillow Blog.